Battlefield 3’s release last year brought sprawling multiplayer combat to PCs and consoles, earning critical acclaim and commercial success in the process. The class-based shooter sold 8 million copies in its first month and was declared by EA COO Peter Moore to have “successfully captured a slice of the COD market”. The next expansion, Armored Kill, will be arriving in September, but ahead of that, we managed to corner the game’s designer, Niklas Fegreaus, to find out more. 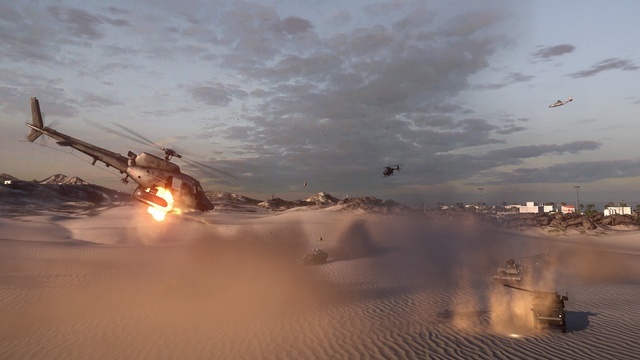 The order of the day in this DLC is vehicular-based destruction, with four new additions: tank destroyers, mobile artillery, ATV quad bikes and an AC130 gunship. Each offers new strategic options from speed to firepower to airborne spawn-points, giving you new ways to tackle your opponents. You’re going to need these new wheels too, as the expansion arrives sporting “the largest map in Battlefield history” among its new, vehicle-focussed multiplayer levels. 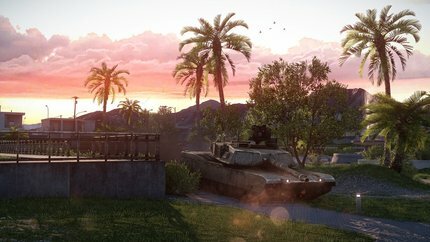 Armored Kill also brings with it a new game mode, Tank Superiority, pitting teams of vehicles against each other. GameSpot: Can you tell us some of the advantages the new vehicles bring to the game? Niklas Fegreaus:The new vehicles in Armored Kill all bring something well adapted for the large Battlefield. The new tank destroyers carry a lot of firepower, while sacrificing armor for speed. 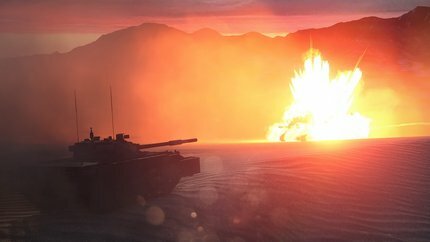 This means they have the ability to bring the big guns to contested areas much quicker than the main battle tanks, providing your team with great mobility and area control. The mobile artillery, on the other hand, are slow and poorly protected but, properly placed, can suppress entire bases with heavy shelling. There's nothing better than a skilled artillery gunner to have on your side, softening up a base before moving in for the capture. The ATV quad bikes make a popular return as well. Fans of Battlefield: Bad Company 2 might remember these as the ultimate fast transport, carrying soldiers to their intended location at great speed. They are also a blast to drive, especially when bashing dunes on Bandar Desert. The AC130 gunship brings a completely new experience to Battlefield. If your team wins control over a specific base, it starts circling the battlefield. When doing this, your team can use it as a parachute spawn and also man the weapon positions. These range from heavy auto cannons to high caliber shells and anti-aircraft machine guns. A fully utilized AC130 can suppress and destroy ground targets with great efficiency, so the other team needs to quickly scramble their pilots and mobile AA to shoot it down. She is a big bird though, and can both take a hit and defend herself. GS: Could you explain to us what the new, “Tank superiority” mode is, and what it will entail? NF:Tank Superiority is a vehicle focused mode where large number of heavy vehicles clash in order to control key areas. It covers vast areas, so tactical positioning and precise long range firing are two very important skills players need to deploy in order to win. GS: What can players compare the new “biggest map in Battlefield history” to? How big is it? NF:We've made some really big maps in our franchise before, and I think our core fans will get similar feelings of size as classic maps like for example El Alamein. These two maps differ in design of course, but the sense of scale is definitely similar. GS: With the new maps being very vehicle-centric, can we expect them to be very open in terms of terrain, with scarcely any buildings? NF:You can expect both. For example, on Bandar Desert, there is a whole town being constructed near the shore, and there's always intense building to building combat taking place there. However, surrounding this built up area are vast deserts populated by artillery bases and supply lines that are key to controlling if you want to stop the enemy from getting the upper hand. GS: How are you expecting players to react to the new maps and vehicles? NF:I think fans of the big epic Battlefield are going to love it. We are not only stretching our capacity when it comes to how much content we can fit into a map and how large we can make them, we are also introducing new gameplay and experiences that I'm sure players will love getting their hands on and learning new tricks with. GS: Tell us about motorbikes, how else do they add to the game? NF:We are introducing motorcycles in our fifth expansion, End Game. These will of course be nimble and fast transport vehicles, but might offer something else as well. GS: Is there any special types of tricks or things you can do with a motorbike that you can’t do with other vehicles? I don't think I've seen a tank do a wheelie before jumping off a bridge! GS: Armored Kill isn’t out until September, almost a year since the game was released--why the long wait for this DLC? NF:We are truly humbled by our fans' response to Battlefield 3, it’s been amazing! So when we started thinking about how to provide players with DLC post launch, we wanted it to be something really special that fans would truly appreciate. That's when we thought of doing "more than just maps" and instead give players a chance to enjoy something suited for their favorite Battlefield experience. And that's how we committed to the themed expansions we have presented now. We are putting a tremendous amount of work into these, and we just hope that players will enjoy all that these expansion packs have to offer. Thanks beauyoung. The AK PC Edition Pack became available today for all non-premium members to purchase! Great stuff! Our 64 Slot Ranked BF3 Server is still running an Armored Kill Map Rotation. please let me know personally if your Armored Kill Game-Play experience on our server is anything less than "AWESOME". Pretty sweet site there, Mark. Thanks for the link. I'm excited about new content for BF3!